Vermont Free Treatment Centers Free and Affordable Treatment and Rehab Centers. Below we have listed all of the Vermont free, low cost, affordable, sliding scale rehab and detox centers. 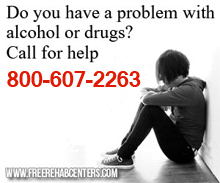 We have listed the cities on the right side of the page where we have found affordable rehab centers. You can choose from that list to find all of our listings in your area. If you feel that we have missed a treatment center, please help us build our list by adding it here, Add a Treatment Center.